Posted June 16, 2011 by Emmet Farrell in News. 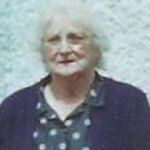 The death has occurred of Gertie Carroll, (nee McGrath) of Cregmore, Claregalway, Galway. Peacefully, at Flannery’s Nursing Home, aged 94 and a half; predeceased by her husband Martin, sadly missed by her loving daughters Ann and Eve, son Joe, sons-in-law, daughter-in-law, grandchildren, great grandchildren, in-laws, nieces, nephews, relatives, her extended McGrath family, neighbours and friends. Reposing at her son Joe’s house in Cregmore today from 6pm. Reposing at Lackagh Mortuary Chapel on Thursday from 6pm. Removal at 8pm to the Church of Our Lady of Knock, Lackagh. 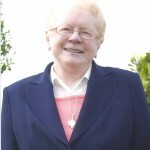 Mass for Gertie Carroll on Friday at 11am. Funeral afterwards to Lackagh Old Cemetery. 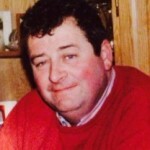 Family flowers only, Donations, if desired, to Galway Hospice.